ORPALIS is pleased to announce the release of a new free HTML5 Document Viewer solution for ASP.NET, DocuVieware Lite. It is a fast and powerful tool for developers to add loading and viewing capabilities to their web applications. DocuVieware Lite provides Rich User Experience with innovative features to develop web applications that are altogether robust, light, dynamic, interactive and productive. For free. DocuVieware Lite is a modern HTML5/AJAX control to load images and documents and see them instantly displayed in the viewer. It provides various and high-level client/server performance optimizations to get a fast and crystal clear rendering. 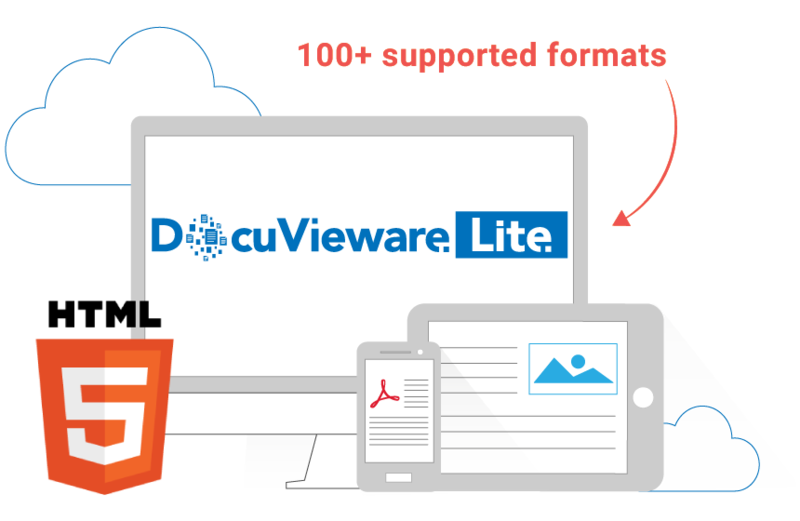 DocuVieware Lite is a zero-footprint viewer, meaning that there is no client side installation, download or digital certificate required. All processing tasks are performed on server-side: this way the resources of user’s computer/mobile device are not used and it avoids slowing the processes.